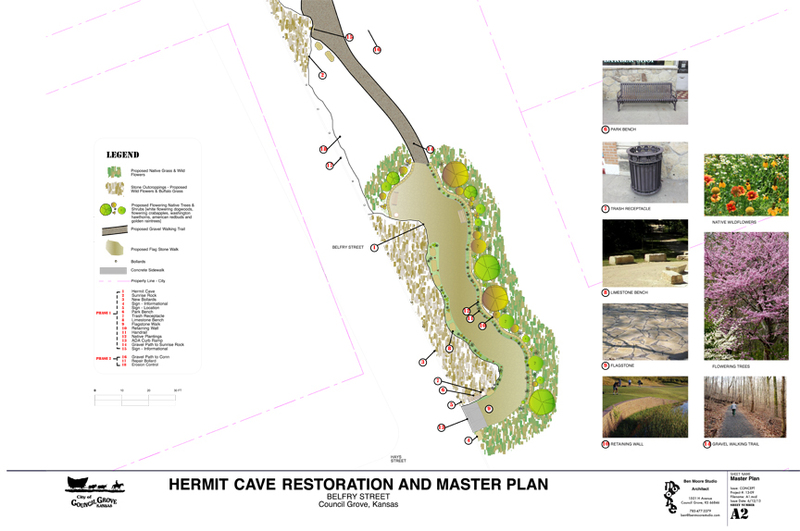 Phase I has been completed which included removing late century modifications to the existing cave. 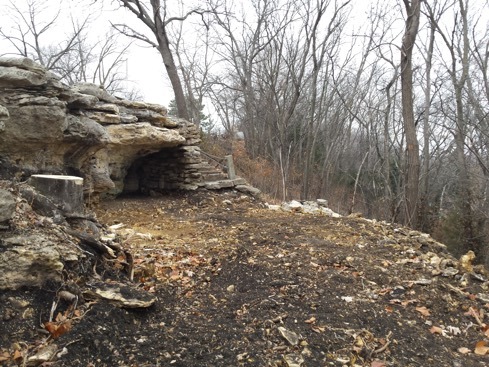 Clearing debris, vegetation, trees and initial earthwork has been completed to allow future ADA trail access. The Master Plan also includes connecting the Hermit Cave site to Sunrise rock via a trail system. The new trail system will also connect to the existing River Walk Trail on the Neosho River. 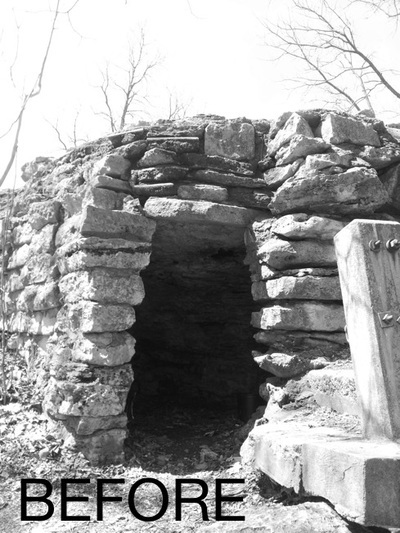 As part of the project, Spencer Preservation completed the National Register Nomination. 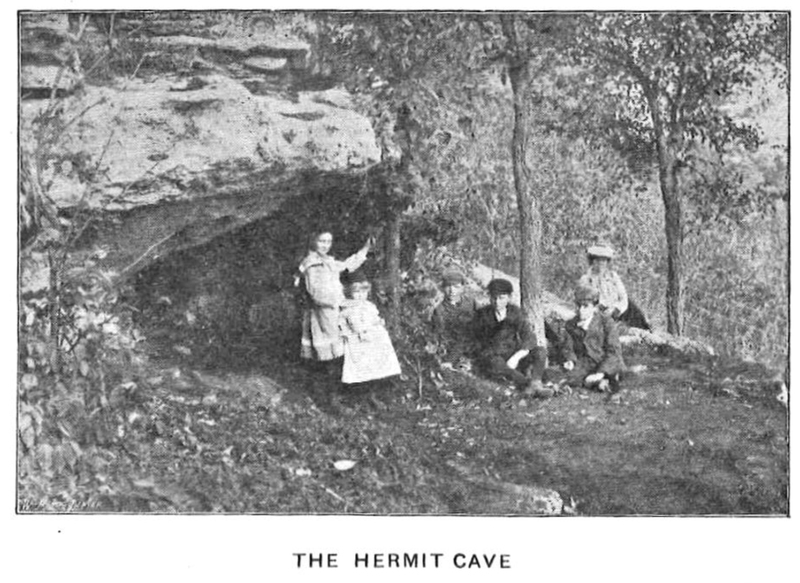 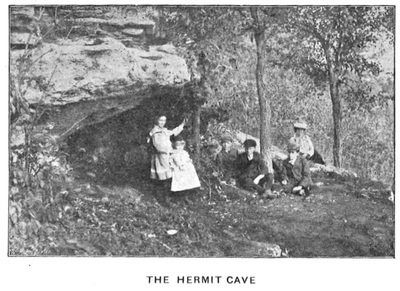 It is now listed n a National Register as Hermit's Cave on Belfry Hill.